We all have a role to play in making our kitchens more sustainable. One place every chef needs to start is by looking at food waste; how much are you wasting, what is that costing, what is the environmental impact? Traditionally chefs have it drilled into them that nothing should be wasted and everything should get used, but how far do we really take that in our every day sourcing, prep and cooking? What if truly everything could be used? What if the waste we accept as inevitable (e.g. 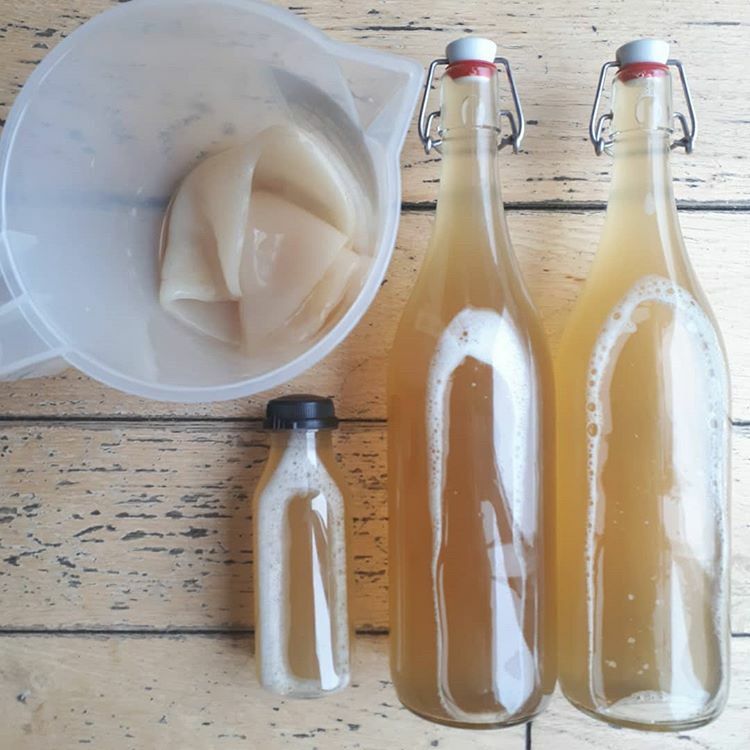 peels, trimmings, coffee grounds, leftover milk) could be turned into products that add to your food offering, promote health and do your bit to help the planet (and maybe even save you some money). 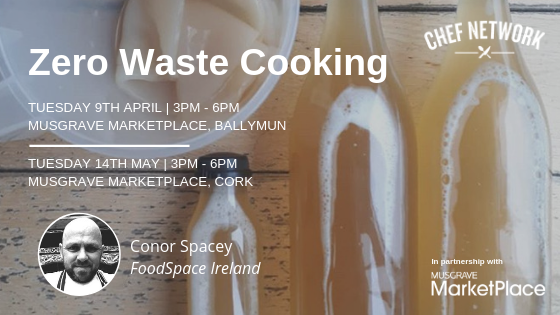 Join Chef Conor Spacey on his zero food waste journey and start yours…learning a variety of interesting on-trend techniques along the way. This event is for Chef Network Members and is aimed at professional chefs. Content will be most relevant to mid to senior level chefs. This is demo-style but highly interactive. You will have the opportunity to see, touch, taste & smell a range of products and the workshop will include demonstration of techniques used in their production. Conor Spacey is Culinary Director of FoodSpace Ireland and a member of the Chefs Manifesto, a global community of chefs promoting sustainable food practices with the key objective of ending world hunger. Conor believes that every chef can play their part, big or small, in tackling issues like food waste and creating a better food system. Conor started his career in the industry 27 years ago as a porter in the kitchen of a hotel in Reading. From there he has worked his way through the kitchens of many great restaurants and hotels right across the UK & Ireland to where he is today. He joined FoodSpace in February 2016. This workshop will be hosted in Musgrave MarketPlace Ballymun. Musgrave MarketPlace is the only Irish owned national wholesale supplier to foodservice, retail and SME businesses across Ireland.